With a quick review of our project profiles and client testimonials below, hopefully your confidence in our performance will be reinforced, our results will be validated and enough proof will be provided to support your decision to trust AMG with your projects. The ABE project is the first of its kind. The plant’s primary product is fuel ethanol from Barley, a crop that can be grown in underutilized farmland of the region. This project had a great potential impact on the local economy, with a possible $100 million of agricultural economic opportunity for local farmers and related businesses. It was originally estimated at $300,000,000, but AMG’s involvement in the value engineering phase helped reduce the anticipated cost to $170,000,000. 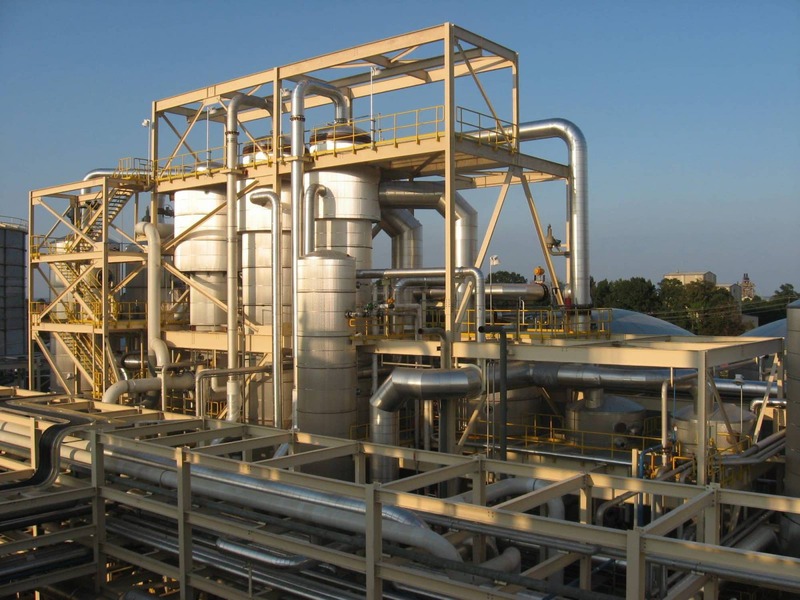 AMG, Inc. provided full detailed engineering process, mechanical, piping and structural design services, equipment and instrumentation specifications, limited procurement services, and on-site support for the project. Dave has done a great job of designing and communicating his design to the engineering staff. When we asked about a change he followed up very quickly with a response. His demeaner is very professional, and friendly. We really appreciate his help in resolving our adhesive delivery system. AMG did an excellent job. Very supportive. Communication was great even with all the scope changes. This was the first AMG, Inc., full-scale venture into the fuel-grade ethanol engineering market. The project was completed on time and within budget. The facility reached design capacity within the first three days of operation. This new and unique process technology proceeded from lab-bench-scale directly to a full-scale production facility. Even though the acid-based conversion process required a considerable amount of engineering effort, the project was completed on time and substantially under budget. This project consisted of upgrading and expanding an existing solvent extraction facility that was originally designed by AMG, Inc. The expansion presented multiple challenges due to the constraints on hot work and tight confines for crane access in the restricted zone prior to the shutdown and the duration of the outage. AMG placed a Senior Engineer and a 3D Modeler during the scheduled shutdown to resolve any unforeseen field issues and expedite the installation. This facility made it possible to formulate and mix ingredients from corn processed in Iowa in an automated and efficient manner, and load it onto rail cars to be fed to cattle in Texas. The project had to be constructed and completed while the existing and adjacent loadout facility was still operational. Growing demand at this site led to the construction of a new waste treatment facility. AMG, Inc. structural engineers met the challenge by designing concrete basins that would hold 25 million gallons and cover an area the size of three football fields, all in poor soil that required a sophisticated foundation design. The project design allowed for a sustained minimum treatment capacity during sequenced construction; additional basins and service buildings were built while others remained operational. The schedule was critical since a large, joint-venture start-up needed to be operational by a specific date. AMG, Inc. provided both local and on-site support to ensure an on-time completion. 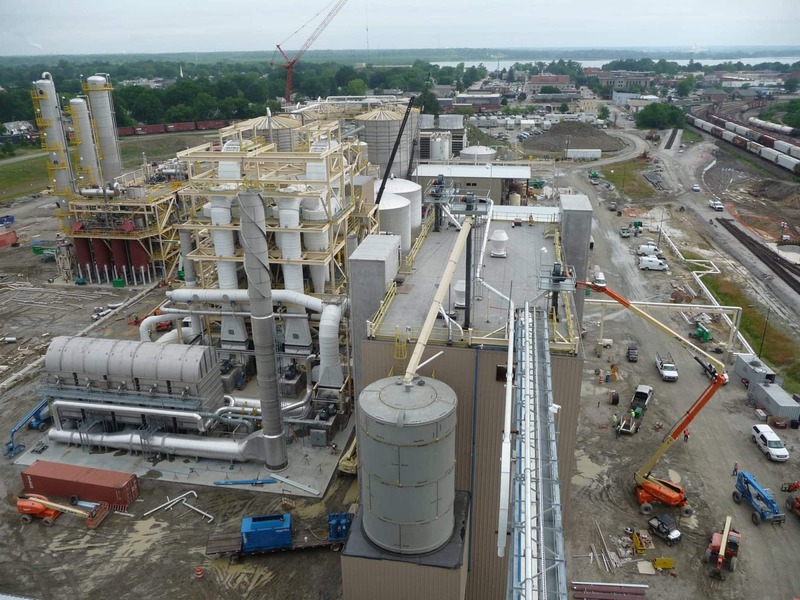 Originally constructed to process 120,000 bushels of corn per day into corn sweeteners, fuel-grade ethanol, and corn co-products, this processing plant now serves as the anchor facility on its industrial campus. Project development required relocating a creek, installing thousands of end-bearing piles, and using 7,000 tons of structural steel and 26 miles of stainless steel piping. The construction dust from the original AMG, Inc. project had hardly settled when our firm was again commissioned to expand the facility. Forward-thinking in the planning of the original facility made the expansion a relatively simple undertaking. Prior working relationship and AMG, Inc’s. Minority status both played a roll in securing this Design / Build project. AMG assisted this client in meeting their corporate diversity goals and provided an on time delivery. Market growth in animal-feed-grade lysine prompted the expansion of this fermentation-based amino acids facility. As is customary on larger projects, AMG, Inc., provided on-site support during the design and construction of the expansion. Past relationships with this Japan-based international client led to AMG, Inc. becoming involved in this amino acids production facility. Site constraints and proximity to an existing production facility provided unique challenges. The project was completed on time, and AMG, Inc., has been involved in multiple expansions of this facility. Multiple expansions to the facility originally designed by AMG, Inc.
An existing client’s impending across-the-fence partnership with this international company, lead to AMG’s involvement. The project consisted of a designing a sea container receiving and handling facility with a 35-ton automated bridge crane, in addition to an on-site product blending operation. It was designed completed on time and well under budget. Market growth in the infant formula additives (i.e., DHA, docosahexaeonic acid) prompted the design/build expansion of a fermentation facility in Kentucky. This algae/fatty acid extraction facility required new aseptic feed and production and existing infrastructure upgrades. AMG, Inc., provided a full design/build package, including on-site support and start-up services. The project was completed successfully and has generated more projects for AMG, Inc., including additional capacity and systems upgrades for existing areas of the facility. Repeat business from an established client in Kentucky led AMG, Inc. to engineer two extraction plants for them in South Carolina. AMG, Inc. provided a full design/build package, including the engineering, on-site support, and purchase and procurement of equipment, contracting of materials and labor, and start-up assistance. Due to a higher recovery yield directly attributable to the plant design, the facility produced more finished product than originally anticipated by the client. 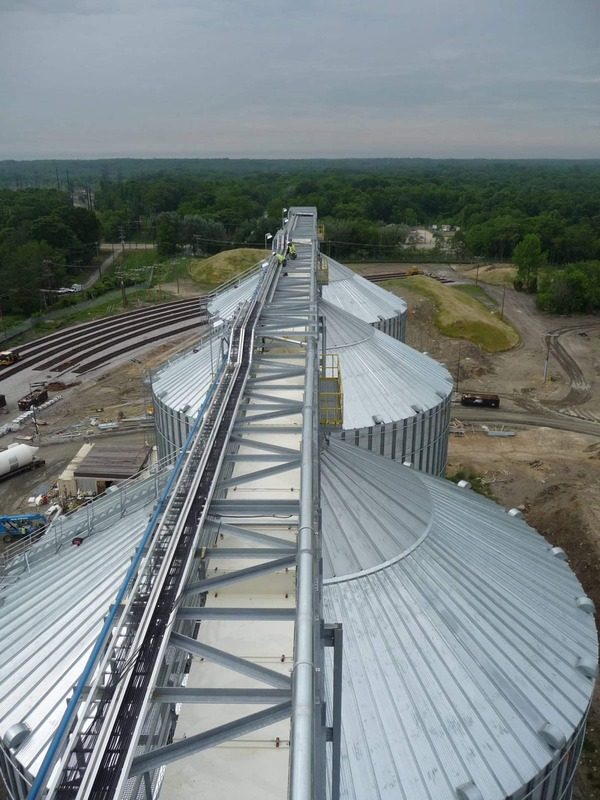 AMG’s knowledge of the Corn Sweeteners handling requirements, enabled our firm’s involvement in the construction of a new rail and barge unloading, storage and bulk transfer facility for liquid sweeteners. Prior working relationship with this Japanese owned company, and knowledge of the local trades and market, lead to the development of this office and lab addition to support process Research and Development for this client.